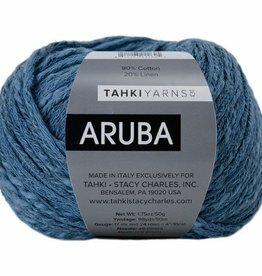 You will love the touch of this yarn! 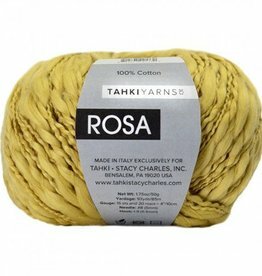 Rosa, by Tahki Yarns, is a thick-and-thin 100% cotton that works up into a textured drapey fabric. Texture is what Tahki Ripple is all about! This is a thick-and-thin, 100% mercerized cotton tape yarn that works up into a fabric with great visual interest. Tahki Aruba is all about rustic texture. This is a lightweight chainette construction cotton and linen blend yarn with a slight thick and thin nature to it. 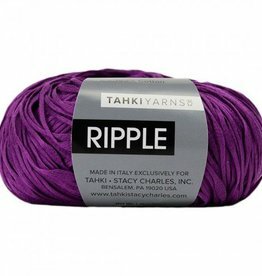 Tahki Yarns Zona is a blend of cotton, wool, nylon and acrylic. This bulky weight chainette style yarn is a great option for sweaters, hats and scarves. 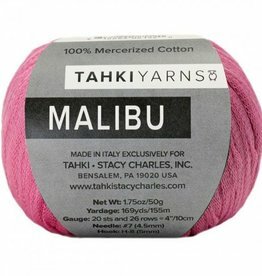 Tahki Yarns Malibu is a worsted weight, chainette tape yarn that will create fabrics with drape. Simple design shapes will showcase the glory of this yarn best.